Today I’m reading her chapter on “Time.” I woke up yesterday morning wondering what happened to the hour we lost we when sprung forward into daylight savings time. Fortunately I had gone to bed early and really didn’t lose any sleep. 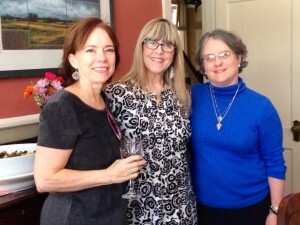 My dear friends Daphne and Sarah feted me with a birthday luncheon on Saturday! And when I woke up it was my birthday and although I had been feted big time on Saturday with a luncheon, gifts, cards, emails, phone calls and lots of Facebook birthday wishes, the reality of being 64 didn’t set in until Sunday. My husband—a huge Beatles fan—has been going around the house singing, “When I’m Sixty-Four” and telling me he will still love me, he will still need me, he will still feed me, and although he didn’t mean it that way, I couldn’t help envisioning myself diminished by Alzheimer’s and him feeding me. But I also felt great love in his cheerful antics. The beauty of the later years, in other words, is that if we have learned through life to trust our own insights at least as much as we trust the insights we have been taught, we find ourselves at the end of a very long life with a very young soul. Time has done for us what needs to be done. We have deepened as people. We have broadened as personalities. We have softened as thinkers. We have abandoned arrogance and authoritarianism for reflection on new ideas and respect for others. 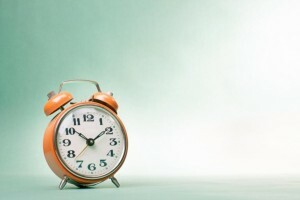 Time ages things… It ages our irritations and allows us the relief of ignoring them…. Time deepens things, too…. Whatever the many deaths of the day, resurrection is coming. Time ripens things. It brings everything to fulfillment. We ourselves become more mature, more accepting, more serene…. It gives me a heightened sense of life. It urges me to discover it all. One thing I love about daylight savings time is that my husband arrives home from work in time to walk with me to the river to watch sunset. And one thing I love about being 64 (and 66) is that we have the time and the mindset to enjoy the gifts those sunsets bring. We are ready to spring forward. Love your words on this subject. The title of your post is also very meaningful … as in we experience the Asian concept of second spring. Picasso had it right, it does take a long time to become young. In my own life I feel so much more energy, and my brain (thank God) is more generative. (My body, however, does not always cooperate.) I am bolder in my actions, braver in my art, and find peace in saying “no”. I’ve finally learned that I do not have to please everyone and feeling the presence of God in my surroundings and within my friends is pleasing enough for me. Thanks Susan, and I hope to see you soon and very soon! I often think of you, Emma, when I’m reflecting on becoming young! Thanks so much for being such a model of this wonderful phase of our lives! I love the combination of Sister Joan, Richard Rohr, and your own experience. Such richness! Thanks, Joanne. I didn’t have many original words for this post… just collecting pearls!